Posted on June 21, 2018 by thelostlighthouse	in Comics, Literature and tagged Aaron Rackley, Adam Wollet, art, Claire Spiller, comic book review, comic books, Dwight Macpherson, Eddy Hedington, Fares Zoghlami, Forrest C. Helvie, Indie, indie comics, Jon Laight, Joseba Morales, Ken Reynolds, Kev Brett, Literature, Little Heroes, Lorenzo Etherington, Lyndon White, Mark Adams, Matt Sandbrook, Matt Stross, Matt Warner, Nick Shingler, Nikki Foxrobot, Rahil Mohsin, Rebecca Macpherson, Rob Andersin, Rob Barnes, Samuel London, Sarah Milman, Simon Robins, Stu Perrins, TLL, Tom Curry, Tom Roberts. Full disclosure, I’ll be backing this on Kickstarter myself! To provide a brief reminder of what the Little Heroes Comics Charity is for, the publisher is raising funds by selling these issues. 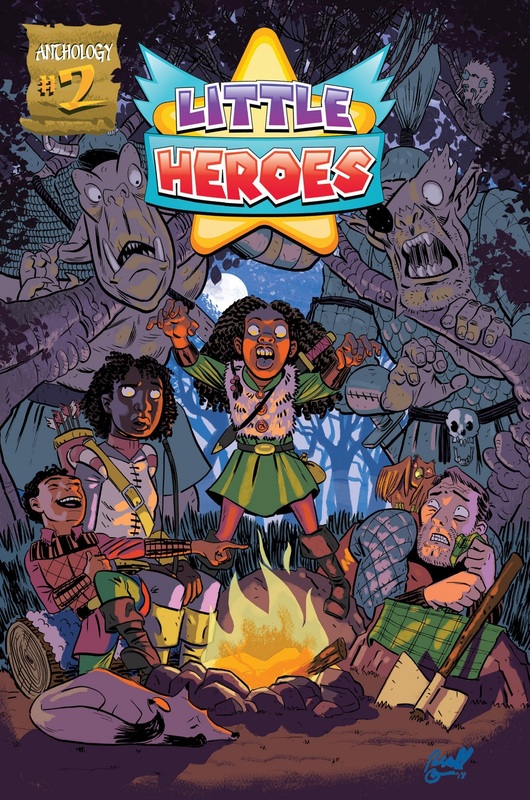 Little Heroes was started by Aaron Rackley to distribute comic-making kits to children following his own experience of cancer. The art varies with each comic, providing a unique style to tell each story. This ranges from more cartoonish to heavily detailed. For me, the art of Lyndon White for ‘Mandy the Monster Hunter’ and Claire Spiller with ‘Tooth and Claw’ really stood out. Each of the artists though brought their stories to life and the work throughout is excellent. Due to the huge number of artists I’ll have to forego my usual ‘can the artist draw hands’ question otherwise I’ll be writing this all night! Needless to say though, across the board they definitely can. These comics are important, they provide an opportunity for children going through challenging times some much needed escapism through fun, heart-warming stories. I strongly encourage you to back this on Kickstarter or at least pick up a copy once it’s released. Back it on Kickstarter here! Score: 14 out of 10, keep up the incredible work! Posted on February 1, 2018 by thelostlighthouse	in Comics, Literature and tagged Andy Bloor, art, comic book review, comic books, Dan Butcher, Indie, indie comics, Kev Brett, Literature, Little Heroes, Mo Ali, Nick Prolix, Ross Burt, Simon Russell, Stefan Nymzo, Susie Gander, T. Leal, TLL, Tom Curry, Tony Esmond, True Believers, True Believers 2018, True Believers Comic Festival, Vincentius Talbot. I wanted to do something a little different this week. While I’m still reviewing a comic this is something a bit more special as the publisher is also raising funds for a charity by selling these. 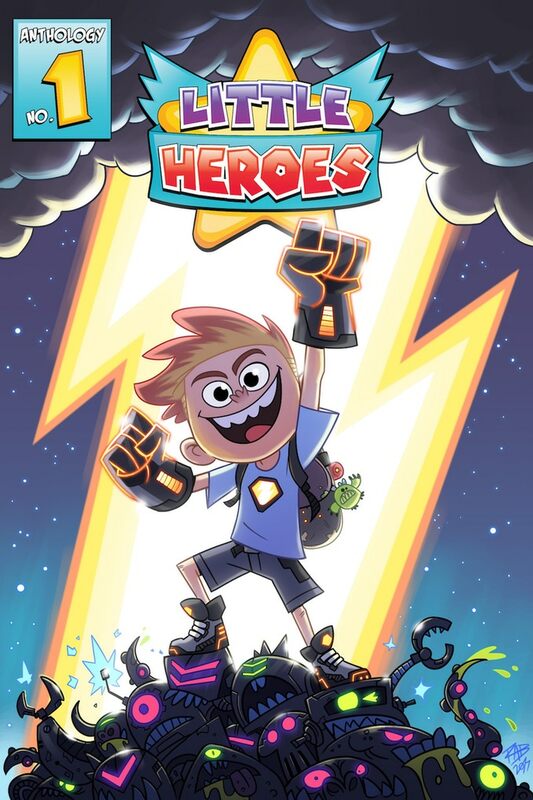 To give a brief overview of what they do, Little Heroes was started by Aaron Rackley to distribute comic-making kits to children following his own experience of cancer. While the comics are primarily aimed at kids they are a lot of fun. They cover a range of genres, from action adventure to super heroes, sports to animals. The theme of strength is picked up through many different lenses, and there are homages to the superhero genre, with the creators showing a clear passion for the form of media their stories are presented in. I really enjoyed the accessibility offered by the stories where there is a portrayal of strength for everyone. Strength is far from limited to being a purely physical or triumphant act as well. Strength is shown to be facing your fears, overcoming huge obstacles or when need be punching an invading alien in the face (physical strength is still an important type of strength!). Naturally there is a different art style for each of the individual comics and each of the artists is unique. Each of these matches the tone of the comic from over-exaggerated loony toons to accentuate the action and comedy, to simple black and white line drawings to add an edge of realism. What is more impressive is the number of small teams and solo efforts for each of the mini comics. There aren’t full teams working on these but usually one or two or at most three people taking on the whole task. Score: 14 out of 10, would read again and again. 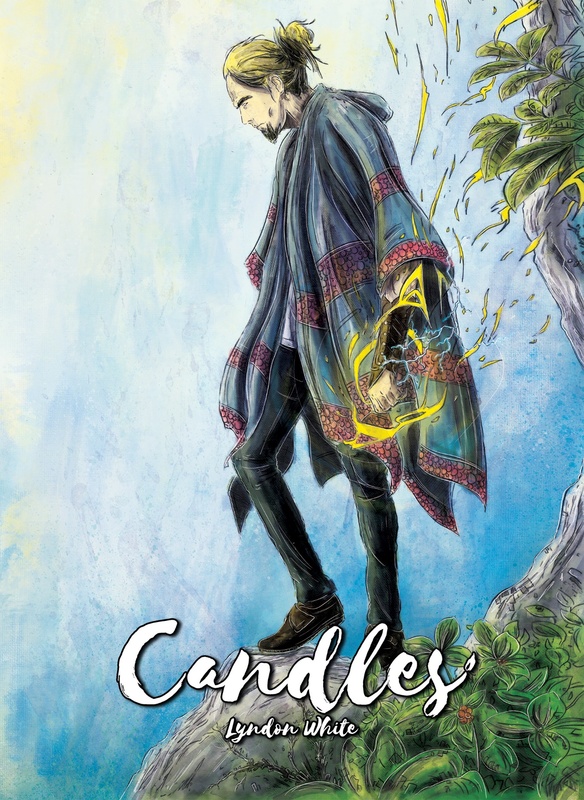 Posted on May 25, 2017 by thelostlighthouse	in Comics, Literature and tagged art, comic book review, comic books, Dizevez, Indie, indie comic review, indie comics, Literature, Matt Garvey, The Ether, TLL, vigilante. Although this comic has a high quality front cover, what really caught my attention to begin with was the variant cover on the second page. It’s a playful send up and tribute to classic comic book art styles. 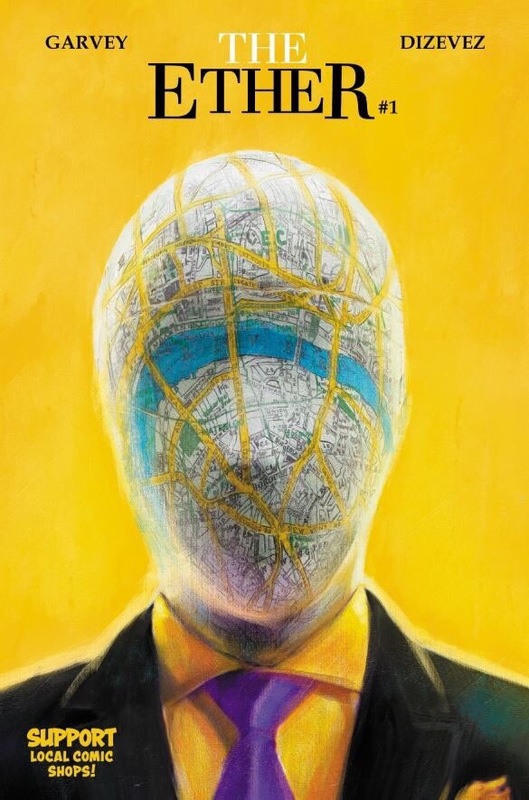 The other key feature is the Question/Rorschach style mask, covered by a map in place of a weird pattern of blank expression. Part of me may have thought of EastEnders when I first saw this, but it does show the masked vigilantes used for inspiration for The Ether. As with many vigilante stories this issue deals with heavy themes at times within the issue. As for the plot, we’re introduced to a familiar tale – a badass vigilante who doesn’t play by the rules but gets results, a secret identity and a tenuous relationship with the cops. Don’t let this familiarity put you off. The format provides a foundation for an unexpectedly deep level of characterisation, with character interactions being the priority during the early parts of the comic. As the story develops unique twists are introduced which bring the story to life, providing a unique spin of the familiar tale. It also plays to the strength of the medium, with the visual nature of the comic communicating the twist without the features of say a television to potentially give the game away beforehand. I was very impressed with the art in this issue. Dizevez’s Ether carries a level of definition which the other characters lack. The eye is always drawn to the mask and the intricate detail of is a stark contrast to many of the other characters whose features are often less set. There’s a particularly powerful scene where we see the Ether’s true self shine through where Dizevez’s clearly defined art creates a powerful and lonely moment in the issue. But I have to ask, can Dizevez draw hands? As I’ve already said the art is of a very high standard in this issue. Hands are drawn in a wide variety of situations, positions, actions and communicate powerful emotions when need be throughout conversations. 9.5/10 for hand drawing skills! I was a little apprehensive when I first opened this issue, unsure if it was going to offer anything I hadn’t seen before. But it certainly did, using the familiar setting to pursue themes too often overlooked within the comic book industry. 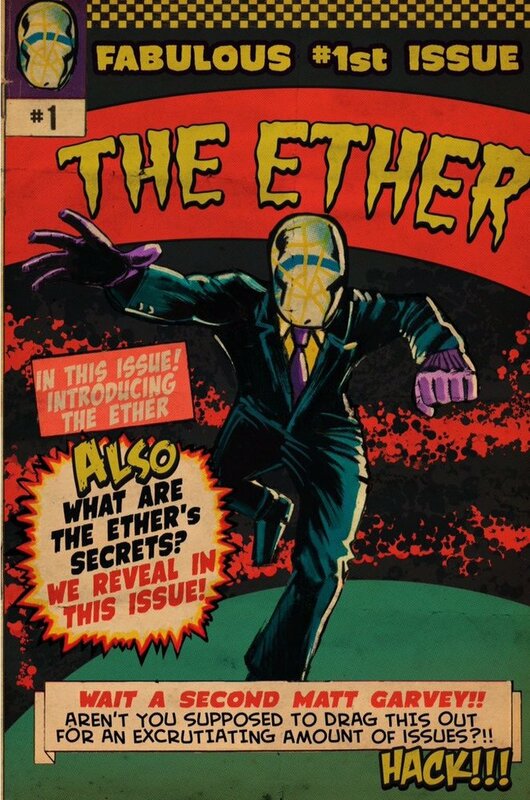 You can pick up The Ether #1 digitally here! 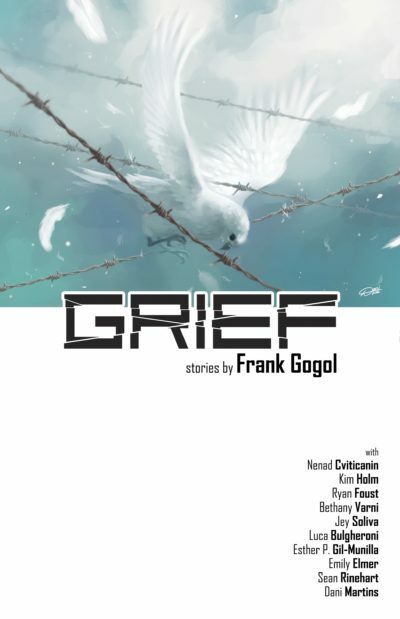 Posted on April 13, 2017 by thelostlighthouse	in Comics, Literature and tagged art, comic book review, comic books, Frank Gogol, Grief, Grief comics, Indie, indie comic review, indie comics, Literature, TLL. As you can see, a lot of people worked on this comic, and I’ll be honest – when I opened it and saw it was 84 pages long my first instinct was to only read the first chapter or two and review them only. The next thing I knew I was hooked and finished the whole thing. The stories all follow a similar format – they’re a few pages long, and gradually build up with a character’s internal monologue towards a twist in the final panels. These range from heart-warming, to shocking and disturbing. Gogol demonstrates great versatility moving around a range of genres, from the fantastical to the very down to earth and very real, producing a wide range of emotions in a short number of pages. It also helps that the first character monologue references the Greek Legend of Troy, and I love stuff like that. The art changes to match the story being told. The different artists offer a wide range of styles which each complement story. Two that stood out were Bulgheroni producing a dark atmosphere with a pallet full of strong earthy colours to match the darker tones of The Debt, Cviticanin’s strong bright style adds impact to twists. Across the board the art is of a very high quality, getting the colouring right in indie comics makes all the difference, and the team has done so. Rinehart’s work on the lettering also should not be overlooked. The font, colouring and placing of speech bubbles is constantly great throughout the whole volume. Also, there’s something I couldn’t help but notice throughout – Superheroes. They’re not in every story, but some of them involve superheroes and in some of them superhero toys are present. There’s always a running theme with them – hope. Even when they break, with enough love and enough work they’re repaired and can lead to better things. I’m not sure if this was a deliberate choice by Gogol, but intentional or not it’s a theme I couldn’t help but pick up on. As with all comics though, I will ask, can the art team draw hands? You’ll probably already know I’m going to say yes. The art throughout this comic has been of a very impressive standard and there weren’t any pages where the way the hands were drawn either looked out of place considering the context or the art style. 9/10 for hand drawing skills! I was very impressed with this comic. As I said, I went in planning to check out the first two stories and found myself finishing them all and wanting more. This is the sort of indie comic very much worth supporting, which you can do through their Kickstarter campaign here. Posted on March 24, 2016 by thelostlighthouse	in Comics, Literature and tagged comics, comics reviews, Indie, indie comics, indie comics review, Leon Reichel, Literature, Stuart Jackson, The Inheretic, The Lost Lighthouse, TLL, True Believers, True Believers 2016, True Believers Comic Festival. Our pal Kit reviews comics for us! This is one of those times. Time for the final indie comic review from my haul at True Believers. This week I (finally) checked out The Inheretic, a sci-fi thriller by Stuart Jackson and Leon Reichel. This is a four part, self-contained comic, which I read in one sitting. Most of the comics I review are single issues, or long on-going series, so things may never truly be wrapped up. This story, however, very much does. The Inheretic is a story about Zachary Rowan, seemingly a nobody who has his only possession, an old radio, stolen. He looks to get it back, tracking down who stole it, but things go wrong. Next thing we see he’s waking up late for work, and the only survivor, an undercover cop called Cooper wakes up in a hospital. At the crime scene there’s blood and gore everywhere. Cooper sets out to investigate. She ends up tracking Zachary down and the majority of the comic plays out in conversations between them. As you may have guessed things are not what they seem. We are treated to the story of a chronicler, sent to our planet thousands of years ago to observe us and see what will happen to our species, will the meek inherit the Earth? Or will humanity screw up the entire planet and generally be assholes throughout our time on this planet? The art is very impressive, and at times surprisingly gory. The characters look good, the colouring suits the scenes perfectly and in general the art feels very professional. Throughout the comic we’re shown seemingly random flashbacks to times in the past, where somebody seems to die or suffers throughout history. I really liked these, they add a real air of mystery to the plot. There are a few twists in this tale, the final one in particular when everything comes together and seemingly odd character behaviour is explained was fantastic. It wasn’t one I saw coming, and the kind of thing I really enjoy. I wasn’t sure what to make of this comic at first. But I enjoyed it a lot, the gory scenes did feel a little out of place at first, but it fell into place as I read on. This was a very good comic. I’m glad I picked it up! Final Score – 8.75 Old Radios out of 10! Posted on December 24, 2015 by thelostlighthouse	in Comics, Literature and tagged Adrian9, Chase Dunham, comics, comics reviews, Delbert Hewitt Jr, Fnic, Hound Comics, Indie, indie comic review, indie comics, Insane Comics, Jojo King, Literature, Reapers, SinEater, Sloth Comics, The Kings of the Wastelands, The Lost Lighthouse, The Revival, TLL, Tom Kyzivat, Yatuu, Young Talented Exploited. Reapers, the story of a young woman who dies, only to be recruited by ‘Victor’ aka the Grim Reaper to do his dirty work and collect souls of the dead and battle demons! What does she get in exchange? Sweet oblivion. I like the art in this comic, a lot of detail is packed into each of the panels and the imagery in the early pages showing the afterlife is unique and captures the mood. The non-human characters appear full of personality and look very cool. The concept for the story is interesting and a lot could be done with it. Violet’s death and subsequent exploration of the afterlife are really cool and give pivotal insight into her character. The only thing that didn’t quite work for me in this comic was The Reaper, Victor, much as the Grim Reaper aspect works the way he spoke kinda bugged me, which is why this comic makes my top 5 but not higher. A post-apocalyptic wasteland after a global war and the survivors just scraping to get by? No, this isn’t Mad Max, but sign me up! The world is ruled by the mysterious figure Patriarch. However, Patriarch has died, and the world has been a worse place for it. Those with magic battle those with technology and our heroes are doing their best to scrape by. And my favourite part? You pick up so much of it naturally, there isn’t the often made mistake of beating you over the head with exposition. Also, one of the characters is a bear. The art is good, if not the highest quality on this list, however I do love the use of barcodes when the Cabbage Heads speak. If you like Mad Max, Fallout, Firefly or anything at all like them then this is the perfect comic for you! Right, Sineater is third. Am I sure about this? Umm… maybe, my top three are all fantastic comics and all very different to each other, I spent way too long trying to work out the order for them and even changed it twice writing this article. To make things a little easier I’ve decided to cheat and award them their own titles for what each of them are best at as well. Sineater gets Best Concept. This is a really cool idea for a story, a young girl named Cassandra works as a Sineater, and she goes around and literally eats people’s sins. It’s a thankless job and she is hated for her strange powers. The whole idea is communicated brilliantly at the beginning in a conversation between a mother and daughter while Cassandra gets ready to do her job. The art feels a little like a manga, which isn’t a bad thing and it helps Sineater feel unique. Speaking of manga, if you like manga or anime like Soul Eater or D-Gray Man this would be a very good comic to pick up as it feels a lot like them in tone. Some minor dialogue issues put it slightly lower than the next two comics for me, but that was being REALLY picky. This was perhaps the biggest surprise for me as a comic. It’s not a traditional comic book at all, the story isn’t fantastical, the characters are based on real people and it even has a choose-your-own-adventure element to it. The story follows a young girl and her attempts to make a career for herself in the gaming industry and the challenges she faces. This really hit home to me as someone who, although in a very different industry, is trying to build a career for himself in our post-recession economy. It isn’t easy at all, and this comic sums it all up perfectly, the long hours, give it your all but only be left feeling unappreciated and completely disposable to businesses. The art is minimalist and used to illustrate the words more than tell the story itself. There’s the choose-your-own-adventure bit to it as well, which again hits the nail on the head for what it’s like trying to work these days whatever path you choose. This really is something I wish employers, and students should read. Students to manage their expectations that things are not as easy as some people will lead you to believe and employers to give them a little perspective for their interns and graduates. I’ve put this as second as it isn’t a traditional comic as such, but it is really worth the read. Here we are, my number 1 Indie comic I’ve read in 2015! There’s a lot of good stuff out there, but for me this one just edged it over the competition! To start with this comic looks fantastic, very professional and the characters are full of colour and life. The characters are all animals and each has so much personality packed into them. The story itself is very cool as well, it’s (another) post-apocalyptic wasteland, where Jacob is out for revenge against Hunter the Tiger and forms a loose band with Gib the driving Turtle and a Cat with a catapult. The plot itself is fairly simple, but that’s a good thing, it allows for fantastic character inter play, they all bounce off each other to create a fun, vibrant comic. The combat looks great and I love the touch of having the ‘Dragon’ be a Hippo. This is a fun start to a promising series, if you want an action comic with fantastic fight scenes or if you like Mad Max, but kinda wished they were all talking animals then this is for you. The art is also fantastic and the author and colourists should feel proud of what they’ve made here. This is why this comics (just) makes it to my number 1 spot.